Recently, a friend who returned from her vacation in New Zealand, bought me a pack of “Raspberry Leaf Tea”, let me emphasize this word, it’s “leaf tea”, not those fruit tea you usually see. I was curious about the smell and taste of the tea. Frankly speaking, when you first saw the tea packaging, which wasn’t really that attractive (let’s just say, I wouldn’t buy it, upon the first look). Anyway, I read the ‘synopsis’-like label of the Raspberry Leaf Tea‘s packaging and guess what? It’s actually also a special herbal tonic for women. Now, are you curious? How does it helps? Here’s the story: In the last century, herbalists helped ease the discomfort of menstruation by giving women raspberry leaves steeped in hot water. They also served the tea to women during the middle to latter stages of pregnancy to help tone the uterus ready for labour. The tea may also be use as a digestive tonic for men and women. To add on, its also naturally caffeine free. Important Note: Please consult doctor for more information. This post is just for sharing purposes. The tea leaves contain several high concentrations of vitamins and minerals because of the plant’s secondary compounds. Vitamin A intake in the form of the carotenoids of red raspberry leaf which can aid the women’s immune system as well as facilitate healthy skin and bone development for the baby. Vitamin E promotes better circulation in the mother who is dramatically increasing her blood volume during pregnancy. Calcium is able to increase the availability in controlling nerve response to pain during childbirth and in aiding bone development in the fetus. Fragrine is an alkaloid which help tone the muscles of the pelvic region including the uterus. This allows the uterus to contract more powerfully and effectively during labor. The leaves of red raspberry plant has astringent properties, for which it can constrict the intestinal tissues to provide relief in diarrhea and soothe inflammation of the intestine. The astringent properties of the leaves also makes them ideal for treating skin irritation and improve skin firmness. Red raspberry leaf tea can be an effective herbal remedy for sore throat, irritation of the oral cavity and gum diseases. It can also help to prevent dehydration, and lower the level of blood sugar in diabetic patients. 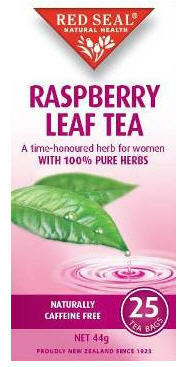 Apart from these, red raspberry leaf tea can be used to treat flu, upset stomach, nausea, vomiting, fever and rubella. 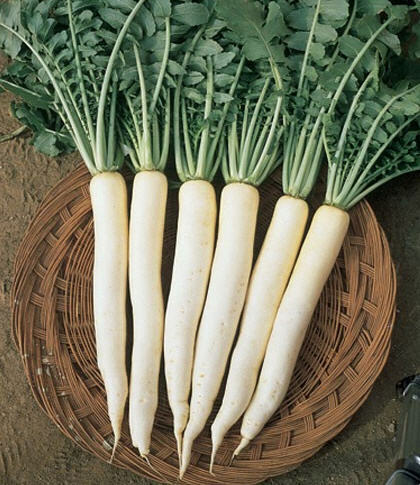 Radish is well known as Japanese Radish as “Daikon”, which belongs to the Brassicaceae family. It can be found in varieties of colour, i.e. white, red, purple or black. Also, shape either it’s in long cylindrical or round shape. Parts of the radish can be eaten, i.e. the leaves, flowers, pods and seeds. It contains about 95 percent of water in proportion, making it an excellent source of hydration. One of the major health benefits of radish are detoxification and digestion, as it increases the flow of gall to improve digestion. Another suggestion to aid digestion is to make a tea from the radish leaves. Put a handful of leaves in boiling water, then remove the pan from heat, cover it, and let the leaves simmer for 20 minutes. Strain the liquid into a cup, add honey if so desired, and drink. Asthma, Bronchitis and Respiratory Disorders: Radish is an anti congestive, i.e. it relieves congestion of respiratory system including nose, throat, wind-pipe and lungs, due to cold, infection, allergies and other causes. It is a good disinfectant, which protect respiratory system from infections. Cancer: Radish helps many types of cancer, particularly those of colon, kidney, intestines, stomach and oral cancer. Fever: It brings down the body temperature and relieves inflammation due to fever. Drink radish juice mixed with black salt. Being a good disinfectant, it helps to fights infections which cause fever. Insect Bites: It has anti pruritic properties and can be used as an effective treatment for insect bites,stings of bees, hornets, wasps etc. Its juice also reduces pain and swelling and soothes the affected area. Jaundice: Radish is miraculously useful in jaundice as it helps removing bilirubin and also checks its destruction of red blood cells during jaundice by increasing supply of fresh oxygen in the blood. The black radish or radish leaves are more preferred in jaundice treatment.